Microbiome research is booming right now, with more and more evidence that our personal health and environment are shaped and influenced by the microbes we harbor and encounter. One area of study I find particularly interesting is how the microbiome we acquire at birth affects our long-term health. A flood of new findings have emerged related to infant microbiome research, leaving parents like me scratching their heads about whether the secrets to our children’s future health may exist in the seemingly endless stream of dirty diapers we change. The human microbiome evolves and develops in utero and then during and after delivery is colonized by bacteria encountered during exposure to the external environment. The initial composition of microbes an infant is populated with influences their lifelong microbiome signature and can be influenced by many factors along the way, including the microbiome community of the mother, use of antibiotics or other antibacterial substances, breastfeeding, C-section birth. These variables have been correlated with disruption of the infant microbiome and associated with differences in cognitive development and the development of disease, such as asthma and allergies. Microorganisms; they are the most abundant form of life. They are all around us, silent, unseen and undetected. The number of ‘species’ of archaea and bacteria climbs every year and is predicted to rise well past one million (1). Despite their abundance, we know very little about all but a small fraction of these diverse cellular life forms because we are unable to cultivate most in a laboratory setting. In fact, 88% of all our microbial isolates belong to just four bacterial phyla (Proteobacteria, Firmicutes, Actinobacteria and Bacterioidetes; 2). The remaining branches of the microbial phylogenetic tree range from underrepresented to virtually unknown and are collectively referred to as “microbial dark matter”. 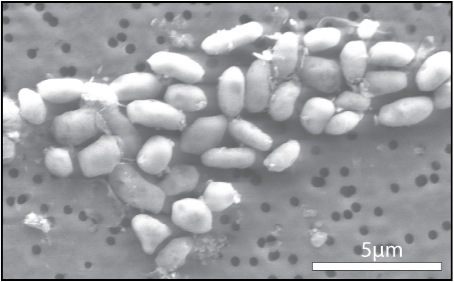 The bacterium Akkermansia muciniphila is creating quite a stir in science news, with people calling it the “weight loss bacterium”. While it’s exciting to think about a bacterium that has the ability to reduce body weight with no change in food intake, there’s another reason to get excited: The potential to treat obesity-related metabolic disorders such as type-2 diabetes and perhaps even diseases related to intestinal inflammation. Bacterial exotoxins are scary things. The names of the big three: Tetanus, Anthrax and Botulinum, are sufficient to evoke fear and conjure up images of agony, paralysis, mass hysteria, and permanently frozen Hollywood faces. The worst toxin stories are hard to forget. I can still remember the gruesome textbook case studies that accompanied my bacteriology college lectures. There were the home-canning-gone-horribly-awry botulism stories, the historical examples of agonizing tetanus poisonings, and the less lethal but still nasty cases of fast-acting staph toxins delivered to unsuspecting airline passengers in re-heated meals (avoid the ham sandwiches!). It’s all coming flooding back to me. Minding the As and P: Can Arsenic Substitute for Phosphorus or Not? Back in December 2010, there was a press conference held by NASA to announce the discovery of a bacterium found in a high salt, high pH lake with high concentrations of arsenic that seemed to have substituted arsenic for phosphorus in the bacterium’s biomolecules. This set off a wave of response in the blogosphere regarding what Felisa Wolfe-Simon and her team did nor did not do to confirm arsenic was incorporated into DNA molecules. Controversy ranged from the ability of arsenic to form a stable compound to the types of experiments conducted to confirm incorporation of arsenic into molecules like DNA.